No party is complete without a signature drink (and every birthday girl should have one). This drink was born the moment I saw the kumquats at the store. Kumquats are an interesting little fruit that felt Moroccan to me at the time, so I went with it. They are similar to a tiny orange in some ways. The outside peel is bitter; the inside is a little sweet. It makes for a lovely entrance drink that set the tone for the night. And one I will make again. Add all ingredients to the glass and swirl. Top with a dash of bitters. The drinks I made were small, sampler sized. Adjust to your preference. Slice the kumquats. Place everything in a pan over medium heat. Bring to just below a boil, cover and remove from heat. Let cool then strain. The longer you can keep the kumquats in the syrup the more flavorful it will be; try to muddle them a bit, too. This insures you’ll get the most flavor out of them. 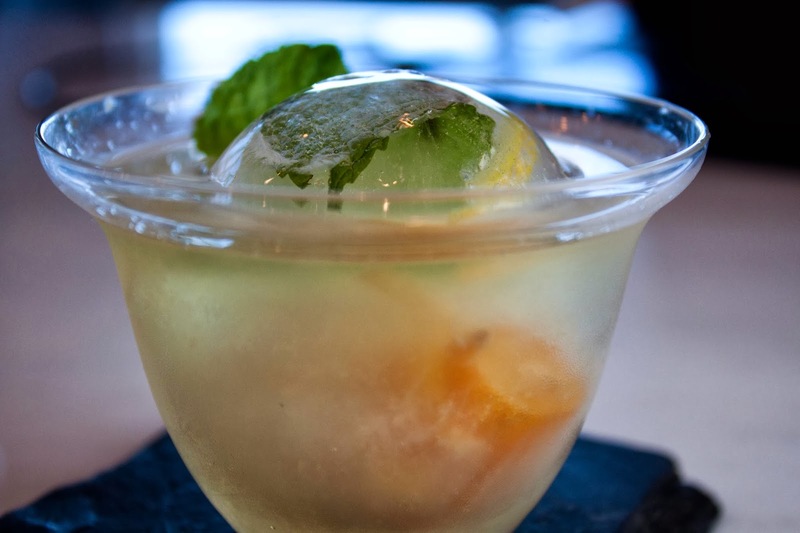 You will need an ice mold to actually make the round ball but you could use paper cups for a fun shape without the added expense of an ice mold. Just freeze water in cups and then peel away the paper. To get the clearest ice, boil the water first and let cool covered. 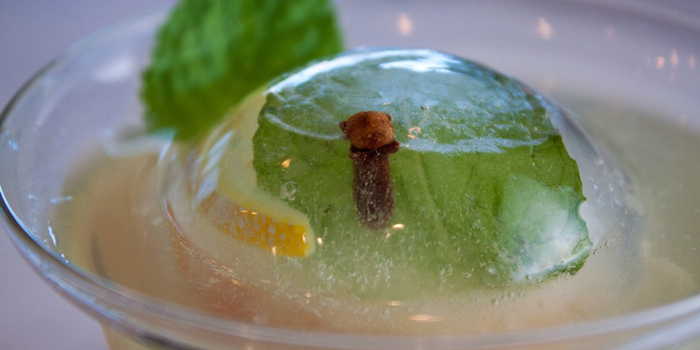 Fill your ice mold with flavors that will enhance the drink as it melts. 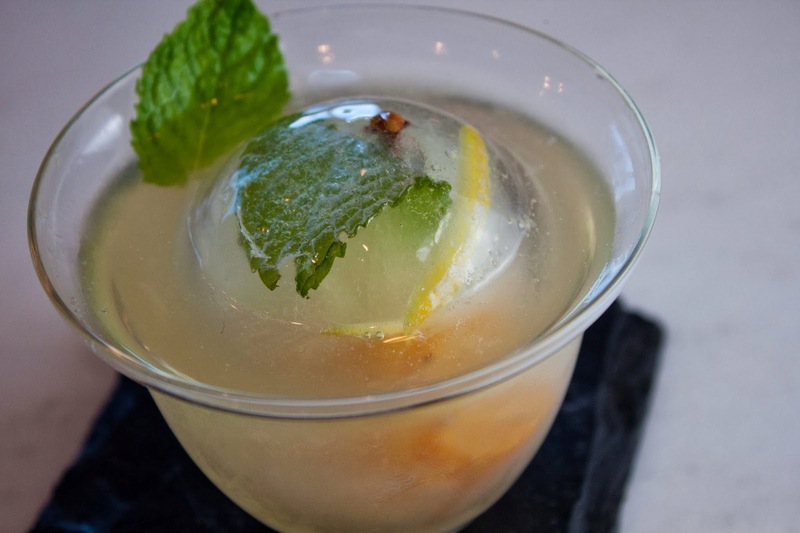 For this Moroccan Punch I used lemon peel, mint, kumquats and clove. Fat and Happy Food Blog Tips and Techniques: The dash of bitters really adds to this drink. It’s important not to skip this ingredient.